Pregabalin is a drug that is increasingly prescribed to treat chronic pain. However, it can be sedating in patients also receiving opioids. 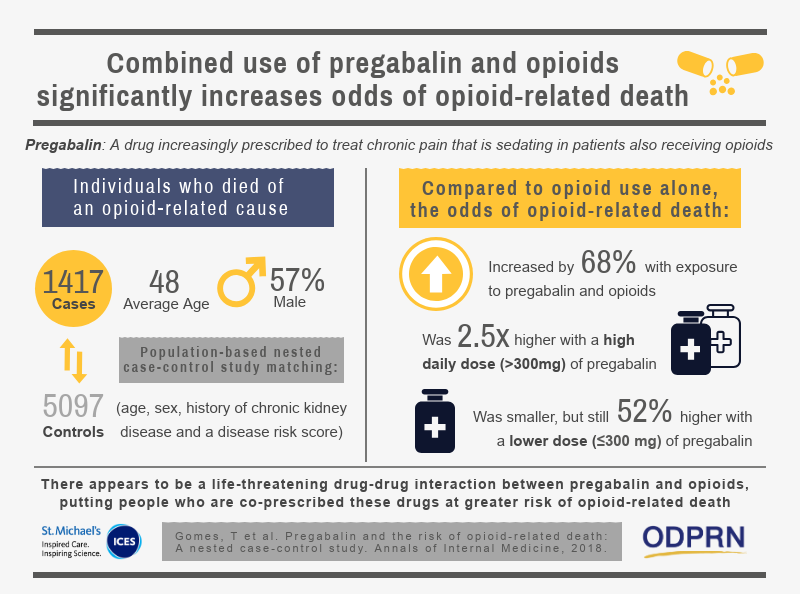 Due to its increased use, along with recent evidence by the ODPRN demonstrating that combined opioid and gabapentin use is associated with opioid-related mortality, it is essential to determine whether similar risks exist when pregabalin is co-prescribed with opioids. This study examines the risk of opioid-related death among people co-prescribed pregabalin and opioids.